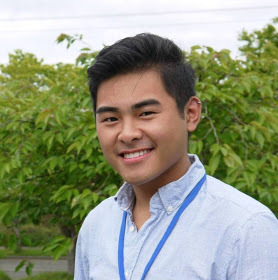 This guest post includes excerpts of a speech by Long Dinh, the co-facilitator of the Student Design Team for the Washington STEM Career Connected Learning Initiative. Washington STEM’s Career Connected Learning Initiative works to open doors for Washington’s young people by increasing the availability, quality, and opportunity for real-world, career connected learning opportunities that will connect youth to meaningful and well-paying jobs. Career connected learning is a continuum of awareness, exploration, and work experiences developed through strong public and private partnerships. The Student Design Team consists of current and recent students advising Washington STEM on best ways to communicate about career connected learning to students. Long, 24 and a recent graduate of the University of Washington with a Bachelor’s of Science in Human Centered Design & Engineering, delivered this speech to 20 senior leaders from STEM companies across Puget Sound region. Hello, I’m Long Dinh. I am a co-facilitator of the Student Design team because it is my strong desire to provide my community with knowledge and support to improve their quality of life. While working on the Student Design Team, I realized I was the student this project was trying to reach. I was the end user. As I reflected on my journey through high school, I realized there were several “missed” opportunities along the way that could have steered me to think about a career and what classes I would need to take to prepare for higher education. I am a Vietnamese American – the first generation in the US. I am the first in my family to go to college and graduate with a degree. When I started 9th grade, I had no real sense of what careers I might be interested in. Careers weren’t on my mind in early high school. In 10th grade, we went on the only company visit I can remember in all four years of high school. We went to a business headquarters where we saw lawyers working. All I could remember were white dull ceilings. In 11th grade, I knew I had to get serious about some career. When I was little, I thought I wanted to become a landscaper like my father. After trying it out, I learned was a tough, labor intensive job. I realized I wanted to try something else. I thought about becoming a business person. Sitting behind a desk all day with a secure and stable job sounded good. I didn’t really know what a business person did or how I would even get there. I had no exposure to any types of potential careers. In 12th grade, my parents said it would make them happy if I got a high end job such as an engineer, software developer, or doctor. I knew I had to go to college for these jobs, but I didn’t know how to get there. I applied to UW and SU but didn’t get in. My 2.5 GPA was not enough. And, to be honest, I had no idea the SATs were even required for college admission. After the rejections I felt lost, but understood the importance of higher education. Higher education was something my parents pushed, although they had no experience with college. I decided to go to South Seattle Community College because I know that would get me to the next step. At South, I had to take remedial classes because I wasn’t prepared for college level work. Even in my first year, I was still undecided, juggling between courses trying to finish class with no real end goal of selecting a major. Long speaks to the Career Connected Learning Advisory Committee. And then, the best thing happened to me. I joined the TRIO program, where they provided guidance, 1:1 mentoring, scholarship resources, career explorations, and life building skills. Because of TRIO and their support, I was able to transform into an informed and motivated student. I achieved a 3.5 GPA and earn over $10,000 in scholarships and awards, while mentoring other students to achieve their college success. When I look back on my high school experience as a first generation student, I really wish that I had the kind of support I got from TRIO in community college. I also wish I had some idea of the career opportunities that were available in Seattle. Having some career interests may have connected me better to the classes I should take and may have prepared me better for college level work. It would have been helpful to have a resource for questions and support to guide me, advise me, and motivate me to reach my true potential. Being involved with this project with Washington STEM has made me realize that I can help offer solutions, so that another high school student like me gets the chance to connect their interests and skills to a future career.